The days where I used to sit on the living room floor, flicking through the Argos catalogue and marking the pages of toys that caught my eye only feel like a few years ago, but in reality I’m now twenty-four and find myself asking for things like bath bombs and pajamas because they’re the kind of ‘adult’ presents I love to open on Christmas morning. That said I always have my heart set on a few new travel bits, so this year I found myself slipping a few of them onto my Christmas list just in case anyone felt like fuelling my obsession further. 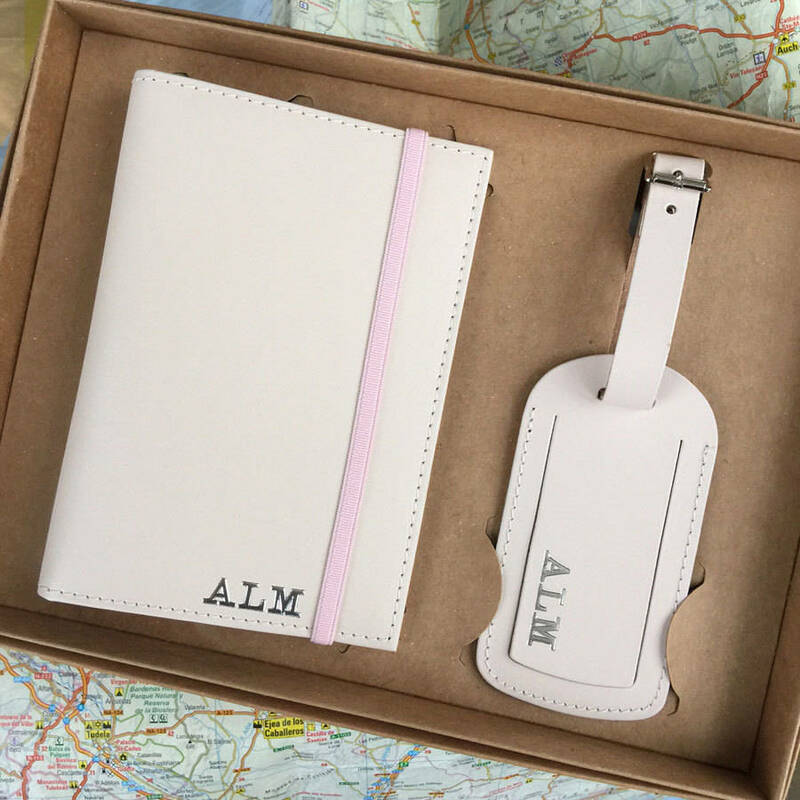 Lucky for me, they did, so here’s a look at the 11 amazing travel gifts I got for Christmas (and where you can get them too!). 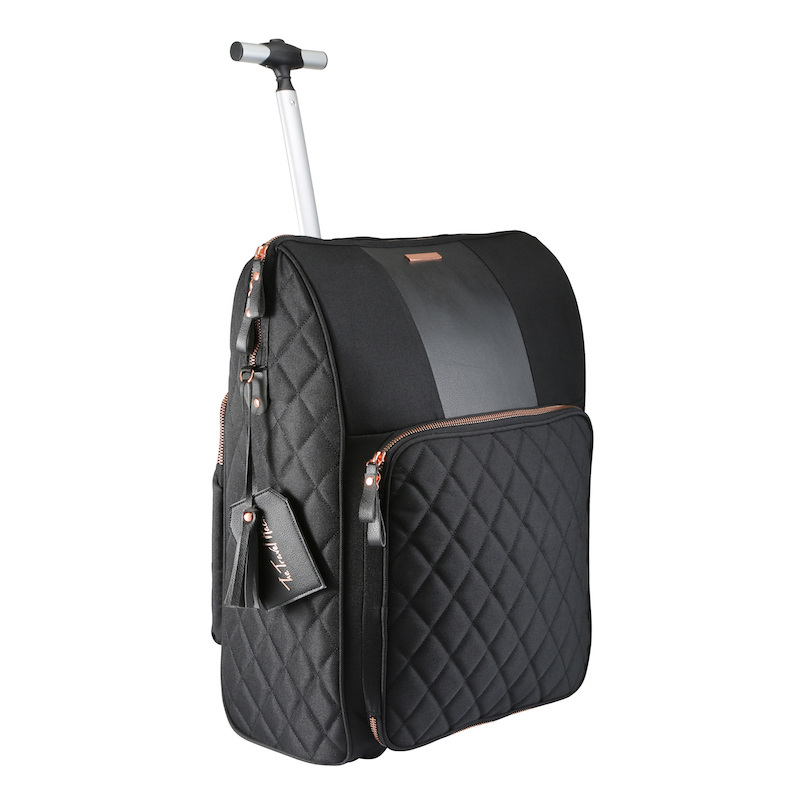 Ever since I started The Blogger Course by Monica Scott at The Travel Hack I’ve been eyeing up the cabin case that she designed. I didn’t have my own case and always ended up borrowing my mum’s, so I stuck it on my Christmas list on a whim because if anyone knows about what a cabin case should be, it’s Monica. Needless to say I was over the moon to unwrap it on Christmas day (thanks mum!). I will be using it for the first time when we go to Iceland in March, but I can already tell you that it’s one hell of a case. So. Much. Storage. And the black quilted exterior and hot pink interior combo is a serious vibe. A full review will follow in March! My equally travel obsessed friends bought me this for Christmas and it’s already come in handy for planning our upcoming trips to Budapest and Iceland. 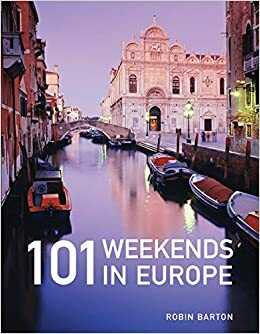 It’s typically 1-2 pages per destination and is full of all the key info you’d want to know about where you’re visiting. 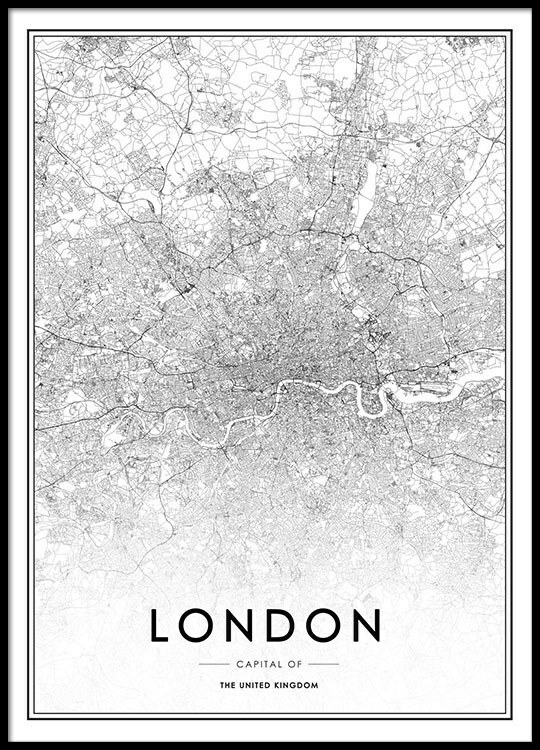 This is a great gift for someone you know who loves to explore, or for yourself if you fancy a payday treat. The same friends (how good are my friends?) 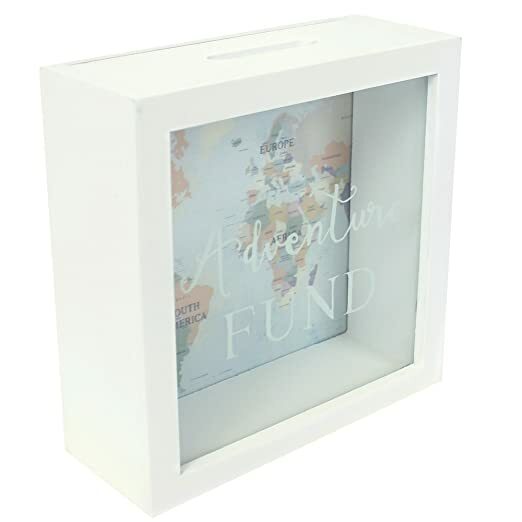 got me an adventure fund money saving box, which not only serves a much needed purpose but also looks really cute in our office. As someone who hates having cash in my purse, this is a good way to slowly get some pounds together for a future trip. Probably not the Maldives or anything, let’s be honest, but a little weekend break is achievable if we commit to putting our spare change in there! 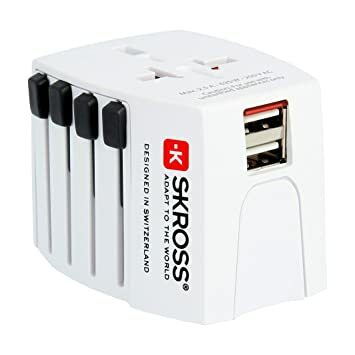 It’s become a bit of a joke that I always steal my mum’s travel adapters, so Darryl bought me my own snazzy one which can be used worldwide. For one little compact bit of tech it does everything, and it’s nice and small to fit in your hand luggage. Such a handy gift! It was technically given to me for my birthday, but it’s in the same week as Christmas so whatever, it still counts. 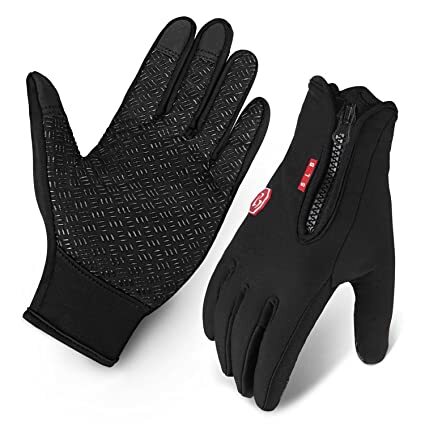 As a person who feels the cold (and then some) I decided I could do with some proper gloves for our trip to Iceland. My auntie and uncle surprised me with them on Boxing Day so, hello warm hands! I got a size small and they’re such a good, snug fit. And they do actually work with your phone. I checked. Don’t you hate it when you go away and you have to stuff your jewellery somewhere in your bag or leave it out and pray the cleaner doesn’t sweep it in to the bin? Me too. 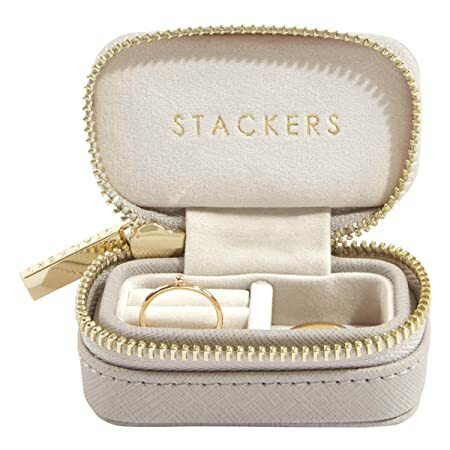 So I asked for a Stackers travel jewellery box for Christmas. This is an expensive product for the small size, but it’s exactly what I need for the minimal amount of jewellery that I wear. 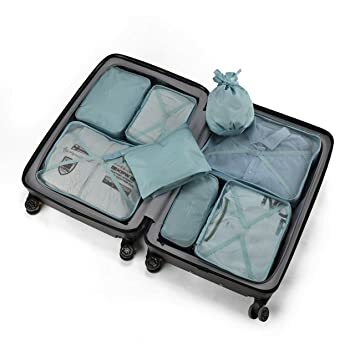 I’m yet to use packing cubes but I’ve heard they’re the best thing since sliced bread, so I went crazy and asked for cactus print packing cubes for Christmas. They don’t seem to have this print available at the time of publishing, but they have plenty more colours and prints to choose from. Pretty excited to give these a whirl for our next trip. We already have six Desenio posters at home but you can never have too many, especially when they’re travel ones. 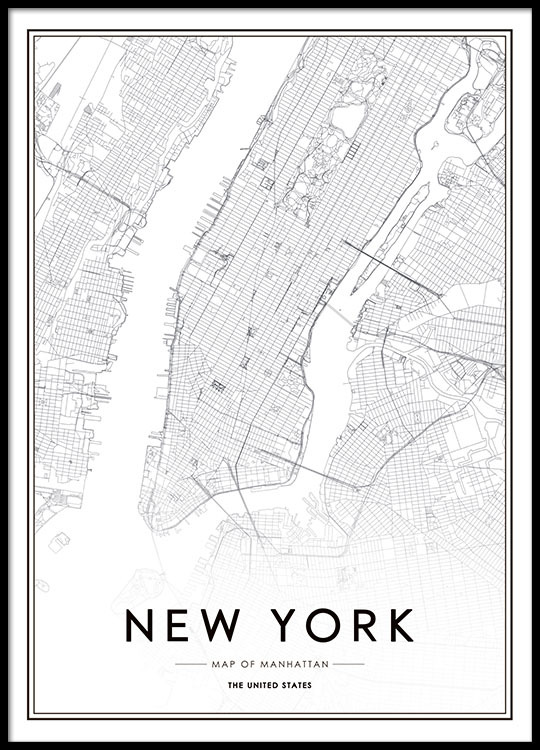 I love the maps and having been to London many times and plans to visit New York City this year, I couldn’t resist asking for these. 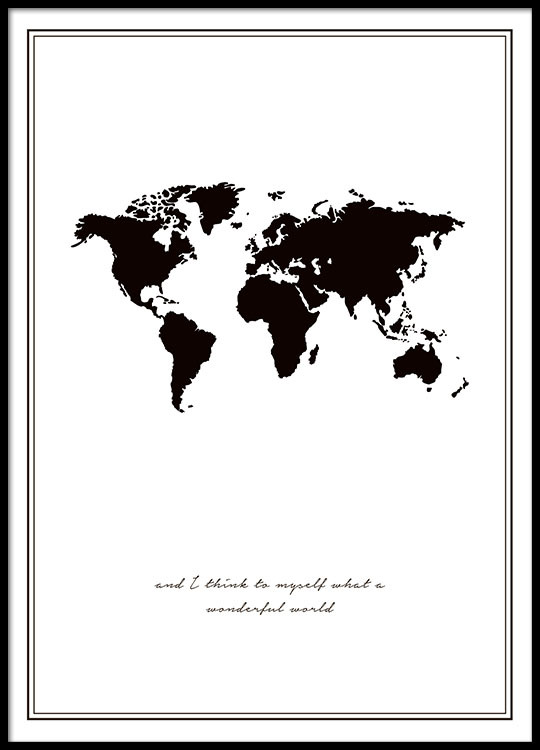 I also got a Wonderful World poster which is so cute. Now I need to get them framed and hung! IKEA here I come. I have an old ‘Tiffany’ coloured passport cover and document holder that I remember my auntie bought me years ago. I still love them but they’re quite faded now, so I thought I’d be extra and pop a personalised set on my Christmas list, to represent the brand abroad y’know? These aren’t cheap as they’re recycled leather, but they’re a gorgeous gift and one I was very thankful to receive from my dad, who gave me this travel bug all those years back. He knows me well! I was super lucky this Christmas and clearly my family and friends are here to support this wanderlust of mine, because these are some insanely good travel themed Christmas gifts. I can’t wait to start putting them all to use for my 2019 travels! What did you get for Christmas? Do any of these gifts take your fancy? "6 Things to Do on a Weekend Break in Dublin"